Space-efficient extra-deep design holds more files. Sturdy steel construction with a textured finish. Locking hinged cover keeps dust out while securing files. Four swivel casters (two locking) for easy mobility. Handy bottom storage shelf. 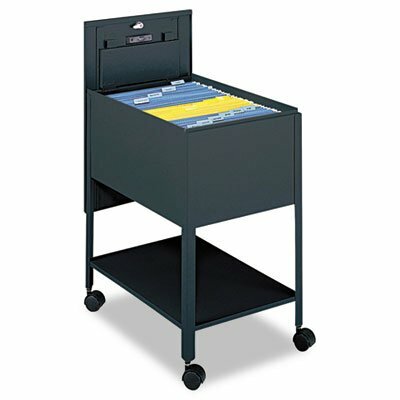 Extra-deep steel tub file with locking hinged cover and four casters. Sturdy steel construction with a textured finish. Locking hinged cover keeps dust out while securing files. Four swivel casters (two locking) for easy mobility. View More In Mobile File Cabinets. If you have any questions about this product by Safco, contact us by completing and submitting the form below. If you are looking for a specif part number, please include it with your message.